Fall is magical. Leaves turn a gorgeous shade of yellow, the air becomes cool to the touch, pumpkin spice lattes taste like heaven and knit sweaters are everywhere! Fall is a season people get excited about for good reason and this goes double in the Badlands, where the fall weather makes the clash of prairie and hoodoo landscape seem a sight absolutely irresistible. Here we break down some of the things you can enjoy during a fall in Drumheller. Autumn walks through Drumheller’s wild side is the chicken soup for your soul. The pathways span 18 kilometres, running alongside the Red Deer River through downtown and going by the Royal Tyrrell Museum. Besides getting to take in the natural splendour of the Canadian Badlands in a whole new light, walking (or biking) the pathways will take you through the town and past every iconic sight and stop in the region – making it the best thing to do on a lazy Sunday. What’s a better pairing than fall weather and lattes? Located along Railway Ave and serving some of the best locally roasted coffee in the Valley, Cafe Ole is your choice meeting place – perfect for a mid-day pit stop, an early morning friend appointment or a late afternoon business rendezvous. The Spanish-style joint has a comforting atmosphere and they have no problem dishing out quesadillas, soups, chowders or grilled cheese sandwiches. Imagine sipping a hot caramel macchiato here on a crisp October day…does that sound cozy or what? Talk about picturesque! This canyon was once a popular hiding spot for outlaws. Today, it’s a pretty hiding spot shielding visitors from the rest of the world. Venture deep into the canyon and marvel at the immensely tall layers of canyon rock and dazzling skies. The hike might be a tad chilly but trust us – it’s worth it for the views. Start planning your summer family adventure! Spend a night or two visiting some of the art galleries Drumheller has to offer. It’s tranquil, serene and you’ll get an eyeful of what Drumheller’s local creatives have cooking up in the form of prints, photography and paintings. 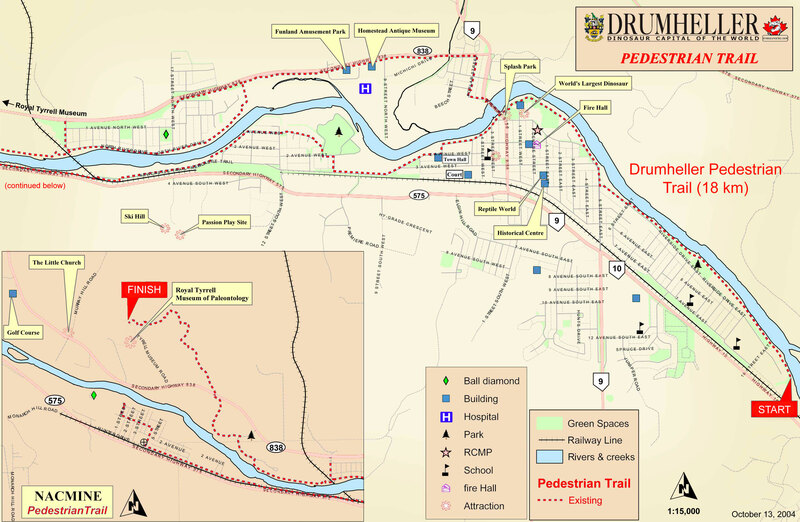 Here’s a complete listing of the galleries you can visit in Drumheller. If the weather gets a little too much, it’s best to take refuge in the thralls of a good movie at the Napier Theatre. This theatre is independently owned and operated, showcasing new releases with plenty of Drumheller charm. Cap the end of a fall day with some popcorn, soda and an adventure waiting for you on the screen. Enjoy the sights and smells of Drumheller in the fall!